You know how we always remark on how schools ought to teach our children to balance their checkbooks and change their tires? The practical stuff? I don’t disagree. School really should involve some more practical training to balance out all of the less practical methods and theories our minds let go of after we take the exam. However, I think that’s also very much on us. Let’s be the ones to prepare our kids for the real world. There’s lots of preschool prep these days, but they’re going to need a whole lot more than that. School prepares kids for college. College prepares kids to work a particular job. Where do they learn to cook or play music or clean their own home? That’s our job. I love lists of activities for children. Indoors, outdoors, messy or clean. Yet, I find myself rolling my eyes at a lot of the ideas, because it’s a little bit wasteful of their potential. If our children are capable of blowing us away with what they remembered or how they “accidentally” purchased a movie on Amazon, I think we underestimate them. But doesn’t it take a lot longer to teach our kids to do something we could do on our own in a matter of minutes? Of course it does! But who would you rather teach them? Their loving, patient parent, or the future landlord that won’t refund their deposit because they didn’t maintain their apartment? Start them young, parents. As in, “Hello, toddler of mine. Today is your day.” Need some help figuring out what their roles might be? 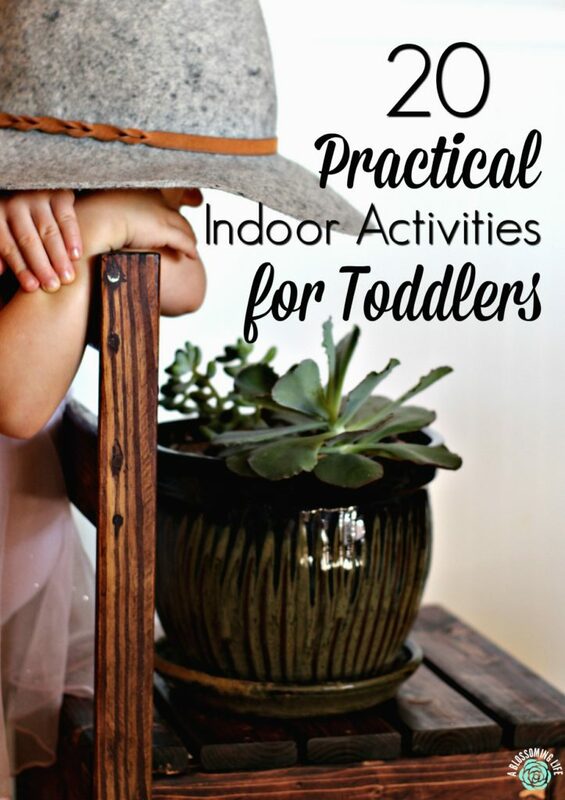 Here is my version of an indoor toddler activities list, which I hope you’ll find on the helpful side (in no particular order). Toddler workout video – Not even joking. Try (this one) on Youtube. Play some fun music, clear the floor, and join them if you think you can keep up. Start small – you don’t have to finish it all the first time. Your kids will benefit from knowing how to do a push-up! We often use music from the youtube channel KLS (Kids Learning Songs) as we feel that they are educational and enjoyable for you and your toddler to sing and dance to! Draw or color a picture, then mail it to a friend or family member. Keep a few on hand to give as a birthday gift to a family member, or to use as a birthday card for a little friend. Teach the little ones to vacuum, and let them try their hand at a feather duster. Your chances of dirtying the house even more while teaching them to clean is actually pretty high, but dust is dust is dust. Have kids sort clean laundry into piles. While you’re at it, teach them to fold washcloths and put away their own clothing. Practice memorization – Poems, Bible verses, quotes from their favorite books. Put those minds to work. Have an indoor picnic, and let the kids build their own sandwiches. A sandwich is a sandwich, no matter how pretty it looks. And trust me, I like to make mine just so. Whoever said letting kids help was easy? Babysit for a friend. Give them a break, and entertain your own kids all at one time. Even better if you can work out a schedule to swap babysitting to get some date nights out of the deal. 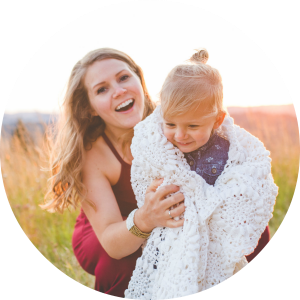 FaceTime a faraway friend and teach your little one how to talk on the phone. Because my son tends to aim the video at his forehead and give closeups of unrecognizably muddy toys all while they talk over one another. Browse together online to build your child’s Christmas or birthday wishlist. The last thing you want when Grandma asks what her little sweetie desires is to have an empty list, no ideas, and more toys just like the ones ya got. Buy a ukulele and teach your child some chords. Is this extreme? No, not really. More kids might be “musical” if they had some early exposure to music. Make it fun, teach them what you know (or what Google knows), and experience just how easily they can pick up some simple chords on a tiny guitar. Play a board game together. There are options for toddlers! We broke out Connect Four this afternoon, and though they weren’t great at taking turns or understanding the rules, they loved it. It was a pretty fun experience. It’s a perfect opportunity to teach them how to take their turn, wait their turn, and abide by the game rules without cheating. Also, what a great opportunity to teach children that it’s not okay to be a sore loser, but here, let me show you how to lose and still have a good time. I’m itching to break out Candy Land. Let them wash some safe dishes in the sink. Plastic dishes that won’t break in water and that won’t slosh onto the counter makes for some happy kids. But add a towel to the floor below, just in case. And don’t be surprised if you turn around and they are sitting in the kitchen sink with the dishes. Happens all the time. Decorate cookies together, and gift some to your neighbor. Your neighbor might not want as many sprinkles as your kids do, but they’re going to enjoy the gesture. Turn the gift into a visit and make some friends! Plan your meals for the week by flipping through some food magazines with the kiddos. If you, like me, are hard up for inspiration on the regular. Buy some seeds, start them, and plant your seedlings together. Teach your child to care for their own plant. Sort toys and donate what you don’t need. Train them young that clutter is not cool. Let the little ones gather the trash cans on trash day, then they can watch Daddy pull the trash barrel to the curb. Mondays are trash days here, and they are no small deal. Teach them to recycle and explain the value of it! Look through family photo albums together. I’m not talking social media albums from the last five years. No, I mean really go back. Show them your great-grandfather standing with your grandmother. Show them your baby pictures, their grandparents’ baby pictures, and start building their knowledge of their family history. You might have to borrow some albums from your parents to do this, but do it! Hot chocolate pairs nicely with this activity. Plan a luncheon or tea party. Invite some guests a week in advance, prepare something nice to eat or drink, set the table properly, and dress up. This is more than a chicken nugget lunch squeezed in before nap. The purpose here is to practice your child’s table etiquette with guests, whether your guests are toddler friends or your classy grandma. This is one of the best opportunities to train children for eating out.